This blog post is the first of a four-part series on non-specific lower back pain. It will be investigating non-specific lower back pain causes and provide an overview of some effective treatment approaches. Detailed examples of lower back pain treatment, including exercise and stretching, will be discussed in future posts. Approximately 80% of the general population will experience non-specific lower back pain at some point in their lives. Non-specific lower back pain is back pain that does not have a known, specific, or recognisable pathological cause. This definition is frustratingly broad for both the clinician and client. It encompasses a broad range of causal possibilities and provides little guidance regarding treatment protocol. Such a broad definition may in part be due to the current state of scientific research on the subject, which is contradictory and inconclusive. Consequently, medical opinion on effective treatment protocol is sharply divided. Understanding the different non-specific lower back pain causes and their interrelationship is essential for informed treatment. However, given the lack of conclusive correlating evidence on the subject, non-specific lower back pain presents the clinician with a significant treatment challenge. For this reason, a non-standard clinical approach is needed to provide effective treatment and lasting relief. Such an approach might begin by abandoning an attempt to understand non-specific lower back pain exclusively through the narrow lens of dysfunction. Such a focus ignores complex interrelationships within different body systems and their implications for treatment strategies. 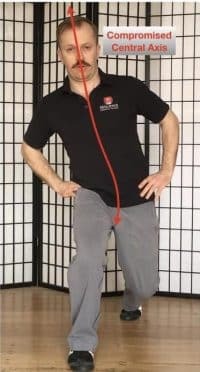 A better way to approach the problem is to first ask the question: “What constitutes a healthy and functional lower back?” Approaching the problem this way prevents a too narrow treatment focus on dysfunction and specific causality. Instead, it allows the clinician to design treatment strategies built on a foundation of optimising health and function. Such an approach works with the body’s natural healing potential, optimises physical performance, and prevents relapse and future injury risk. What makes for a functional and healthy lower back? Most of us take our back health for granted. However, being able to flex and rotate the spine is necessary for every aspect of daily life and sporting endeavour. Until we experience debilitating lower back pain, it is difficult to grasp just how vital lower back health is. So, ‘What makes for a healthy and functional lower back, and how do we achieve it?’ When asked this question, many trainers and medical practitioners will mumble something vague about the importance of core strength, yoga, and pilates. While there is some utility in this answer, it offers little help regarding treatment specifics. Therefore, before designing any treatment, it is first necessary to define the goals of optimal back health clearly. A symmetry of strength and flexibility across opposing muscle groups – This ensures efficient muscular function, spinal alignment, and postural health. Neutral spinal curvature – Maintaining the optimum curvature of each spinal segment is essential for shock absorption, and efficient limb mechanics. Proprioception, stability, and robustness – This is the ability of spinal musculature to adapt quickly to changing support and movement demands. It is the ability to switch the right muscles on, and off, at the right time, for the required task. Good Joint mobility – Joint mobility ensures unrestricted movement potential and is a necessary prerequisite for efficient force transfer. When spinal joint mobility is lacking, increased stress is placed on compensatory muscle groups and surrounding soft tissues. The spine contains 33 vertebrae and consists of five distinct sections. Those sections are the cervical, thoracic, and lumbar spines, as well as the sacrum and coccyx. Each section of the spine has a unique function. Neither section functions independently. To understand the functional relationship of the lumbar spine with its corresponding segments, an overview of spinal anatomy is necessary. The cervical spine has seven vertebrae. The first two vertebrae allow the skull to rotate as well as move forwards and backwards. The thoracic spine consists of 12 vertebrae to which the ribs attach. The thoracic spine performs limited amounts of flexion and extension. However, it’s primary function is one of rotation and support. The lumbar spine has five vertebrae. Its primary function is flexion, extension, and lateral side bending. Five bones comprise the sacrum which are fused together. The sacrum provides minimal amounts of movement or nutation. Its primary purpose is to provide stability when seated and an attachment point for the ligaments and muscular tendons. The total curvature of the spine should form an ‘S’ shape. The cervical spine should have a gentle concave or lordotic curve. The thoracic spine should have a gentle convex or kyphotic curve. The lumbar spine should also mirror the curve of the cervical spine, being gently concave, or lordotic. Smooth and balanced curvature, from one segment to the next, is essential for optimal back health and function. It allows for optimal support, mobility, and efficient transference and distribution of forces throughout the body. The vertebrae of the lumbar spine are divided into three compartments. These are the anterior (front) lumbar compartment, the middle lumbar compartment, and the posterior (rear) lumbar compartment. The anterior compartment consists of the main vertebral body, the disks, and ligaments. The functional role of this spinal section is primarily one of support, and to provide resistance against heavy movements. This section of the vertebrae is the main weight-bearing zone. The intervertebral discs act as shock absorbers against the effects of gravity on the body. The middle lumbar compartment comprises the vertebral canal. This section protects the spinal cord. The posterior lumbar compartment comprises the spinous processes, the transverse processes, and the vertebral arch. This section offers protection and support against extreme movements. It also provides the bony attachment sites for muscles and connective tissues (fascia). Diaphragm – The main respiratory muscle that sits at the base of the rib cage. This muscle forms the ‘lid’ of the core and creates downward pressure on the abdominal cavity. Transverse abdominis – This is the deepest of the abdominal muscles and wraps around the abdominal cavity. Its function is to stabilise and lengthen the spine by squeezing in on the viscera and increasing intra-abdominal pressure. Multifidus – These are the deep stabilisers of the spinal vertebrae. Along with the transverse abdominis, and pelvic floor they provide stability to the spine, allowing efficient and supported movement of the limbs to be possible. Pelvic floor – These muscles support the viscera from beneath. They contribute to maintaining intra-abdominal pressure and assist the multifidi in stabilising the spine. Internal obliques – These muscles also serve to compress the viscera. Unilaterally, they laterally flex the spine to the same side and also rotate the spine to the same side. Bilaterally, the internal obliques flex the spine. External obliques – These muscles also serve to compress the viscera. Unilaterally, they laterally flex the spine to the same side but rotate the spine to the opposite side. Bilaterally, the internal obliques also flex the spine. Rectus abdominis – This muscle is commonly referred to as the ‘six pack’ muscle and is the most superficial. Its function is to flex the spine and tilt the pelvis posteriorly. The function of the core muscle group is to maintain intra-abdominal pressure during trunk and limb movement. Regulating this pressure serves to gently lengthen the spine, allowing for greater freedom of movement. At the same time, it increases dynamic stability to allow for efficient limb mechanics and force transfer. When intra-abdominal pressure is not adequately regulated, the risk of soft tissue injury increases. The ligaments and disks of the back are subject to greater forces. More demand is also placed on the ligaments, fascia, and stabilising muscles of the limbs. Over 80 per cent of the general population will experience non-specific lower back pain at some point in their life. However, there is a diverse range of opinion within the sports medicine community on what causes non-specific lower back pain. Back pain is a complex problem. There are a variety of factors to consider and a number of different body systems that influence it. The following examples of lower back pain causes are by no means a comprehensive list. They are some typical examples that highlight how varied effective treatment needs to be to address the specifics of each case. An anterior pelvic tilt (also referred to as lower cross syndrome) is a forward tilting of the pelvis. Anterior pelvic tilt results in a hyper-lordotic curve of the lumbar spine. Commonly, this is the result of short, tight hip flexors, and long, weak hip extensors. Shortened muscles include iliopsoas, quads, and lumbar spine muscles. Lengthened muscles include hamstrings, glutes, and lower abdominals. Tension and weakness in these muscle groups can be both the cause and the symptom of anterior pelvic tilt. Compression of the posterior compartment of the lumbar vertebrae is also a common feature of anterior pelvic tilt. In particular, the facet joints of the lumbar spine are prone to irritation. Symptoms of facet joint irritation are commonly experienced as lower back pain on extension and rotation of the lumbar spine. Repeated spinal compression and facet joint irritation will result in muscle guarding. Muscle guarding, or bracing, occurs to immobilise the injured area and prevent further irritation. This process can quickly become a vicious cycle. Increased lumbar spine movement leads to increased inflammation. Heightened irritation levels further trigger the muscle guarding response. The more muscle guarding that is present, the greater the risk of irritation with further movement. A common cause of anterior pelvic tilt in women is wearing high heeled shoes. High heeled shoes shift the centre of gravity forward. The body necessarily compensates by tilting the pelvis anteriorly to maintain balance. This altered position causes the quads to become overactive and shorten over time. The altered pelvic angle causes gluteus medius to act as a hip flexor instead of a hip stabiliser; a function for which it was not designed. When glute medius performs this altered function for sustained periods of time, it quickly fatigues. Fatigue contributes to pelvic instability, which in turn leads to lower back pain. Another common cause of anterior pelvic tilt is a sedentary lifestyle. Sitting for long periods, whether at work or home, is a prevalent cause of lower back pain. When sitting, the gluteal and multifidus muscles become weakened, and switch off due to lack of use. Over time, this alters hip mechanics. The consequent deficit of hip and spinal stability results in lumbar spine muscle compensation. These muscles, in turn, become dysfunctional and tight. Anterior pelvic tilt is easy to treat. Effective treatment involves a combination of massage and stretching to lengthen the short, tight and overused muscles. Targeted strength training is utilised to even up the long, weak and underused muscles. To find out more about how massage can be of benefit, click here. Thoracic mobility is a vital movement for many body movements and sporting activities. The ability to rotate the thoracic spine is essential for effectively dissipating reaction force when walking, running and jumping. A lack of thoracic rotation places increased force demands on the lumbar spine. Usually, when there is movement restriction in one spinal segment, another section will compensate. Hence, a deficit of rotational movement in the thoracic spine will result in increased rotational movement demands of the lumbar spine. This places increased stress on the lumbar spine, potentially creating the muscle guarding cycle already discussed earlier. When the thoracic spine is stiff, treating the lumbar spine will often provide only limited symptomatic relief. For lasting lower back pain relief, improved thoracic mobility is necessary. Once mobility has been restored, retraining of movement patterns is required to integrate new movement availability into body mechanics. Myotherapy techniques and neuromuscular training are highly effective methods of achieving this integration. 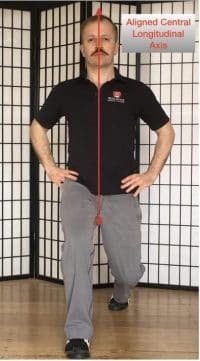 Techniques will often include Spinal Mobilisation and Muscle Energy Technique, targeted mobility exercises, and low load neuromuscular exercises. When suffering an acute sports injury, such as direct trauma or a muscle/ligament tear, the body will alter its movement patterns to protect the injured area while it heals. This process is unconscious, and the individual will often be unaware of this compensation process. The problem here occurs after the initial injury or trauma has been resolved. When returning to sport and regular activity, the body does not revert automatically back to utilising proper muscle firing and movement patterns. This is particularly true for non-specific lower back pain. In this instance, lower back pain is a symptom of the compensatory movement patterns, not the initial injury. Back pain will often only present once normal activities are resumed. In these instances, pain resolution can be best achieved here by restoring correct movement patterns and proper muscle sequencing. Useful treatment options include specific neuromuscular training to correct compensatory movement patterns, and myotherapy dry needling to deactivate overactive muscles. You can read more about neuromuscular training and the JEMS movement method by clicking here. A much overlooked cause of non-specific lower back pain is restriction and dysfunction of the internal organs. For optimum function and health, our internal organs need to be able to move freely. The ability to move unimpeded is also vital for regular metabolic and mechanical function of the organs. For example, when we consume food, the stomach, small intestine, and large intestine require the ability to expand and contract. This operation assists in the movement of food through the digestive tract and aids in the mechanical process of digestion. The absence of normal movement compromises organ function. Ultimately, this can potentially lead to systemic dysfunction, disease, and reflected lower back pain. Our organs are bathed in serous fluid and surrounded by pliable connective tissue to facilitate normal movement. This environment allows them to rotate, glide and slide smoothly over each other. This movement is also necessary to perform the normal metabolic functions of the organ. When this ability is lacking, trunk movement, such as rotation, flexion and extension becomes compromised. Compromised organ function and movement results in muscle guarding to protect and immobilise the affected organ. Consequently, muscle guarding associated with non-specific lower back pain often has a visceral component. For this reason, Jean-Pierre Barral (one of the pioneers of Visceral Massage), refers to muscles as the ‘soldiers of the body’ and the viscera as ‘the generals’. In other words, muscle function is subordinate to visceral health and mobility. If there is a problem with the viscera, there will often be a reflexive tension in the surrounding musculature. A further contributing factor to visceral lower back pain is the anatomical attachments of the viscera themselves. Much of the viscera have their fascial attachments anchored on the anterior surface of the lumbar spine. When there is visceral dysfunction, there is often a direct mechanical pull on the lumbar vertebrae. This pull on the vertebrae further compounds reflexive muscular tension and exacerbates joint irritability. When non-specific lower back pain has a visceral cause, the highly specialised techniques of visceral massage provide lasting resolution. Visceral massage is gentle and non-invasive. It works in harmony with the bodies natural healing processes and provides long-lasting pain relief. Visceral massage is now available at ResilienceMT. You can read more about its benefits and applications by clicking here. Anxiety and stress are very often overlooked and are a significant contributor to non-specific lower back pain. During periods of anxiety and stress, breathing patterns alter. Breathing occurs higher up in the chest and uses different respiratory muscles to normal. Chest breathing recruits more of the accessory respiratory muscles, such as the scalenes, pec minor, intercostal muscles and upper traps. With prolonged overuse, tension and shortening of these muscles can lead to a host of musculoskeletal problems. Using chest breathing instead of abdominal breathing locks tension in the diaphragm. Increased diaphragmatic tension impedes the transverse abdominis and pelvic floor from dynamically adapting to changing stability demands. ‘But surely more core strength and tension is better for the back,’ you might ask? This is not necessarily the case. For good dynamic core stability and efficient limb mechanics, more muscle contraction isn’t always better. As the inimitable Joanne Elphinston has observed, “Control ain’t the goal!” Good core strength and proprioception are having the ability to switch the right muscles on and off, at the right time, with the right intensity for the task at hand. Stress and anxiety directly feed into this reflex of increased global tension. Recent research by Cholewicki et al. 2005, and Hodges et al. 2013, has demonstrated that increased muscle guarding and a delayed ability to release muscular tension prior to movement has a strong correlation with lower back pain. One possible contributing factor to this is that when stress and anxiety levels are raised, our bodies release more cortisol. Cortisol is a stress hormone that has a host of adverse long-term health effects. One of these is to increase global muscular tension. Effective treatment of lower back pain should therefore always aim to reduce global tension by addressing the emotional and anxiety/fear component. For this reason, the ResilienceMT clinical approach to non-specific lower back pain prioritises addressing the stress and anxiety component. Treatment will often include breathing exercises to reduce anxiety levels, global muscle tension, and release the diaphragm. Once normal core muscle mechanics and breathing patterns have been restored, higher load strength training can be reintroduced. Spinal alignment is an essential component for a functional and healthy lower back. Maintaining a central longitudinal axis, or CLA, throughout movement is a crucial foundation for efficient body mechanics. A functional CLA improves spinal support, reduces unnecessary compensatory muscle contraction, and reduces the load and stress placed on the lower back. To illustrate this principle, consider the examples below of the author performing a static lunge. In figure A, the author is maintaining an aligned CLA, providing good lumbar support and stability. In figure B, the author is losing his CLA by collapsing to the right. Performing the lunge in this position significantly compromises gluteal muscle function and reduces pelvic support. Laterally tilting the lumbar spine places more stress on the surrounding soft tissue structures and reduces potential trunk stability and rotation. In this position, the lumbar spine muscles will also have to compensate for reduced gluteal muscle function, working harder to stabilise and protect the lower back. Increased and prolonged compensatory muscle tension due to a collapsed CLA leads to muscular fatigue and dysfunction, an increase in muscular pain, and an increased risk of injury to the lumbar ligaments and discs. The corrective solution, for the example above, is not to create more gluteal strength with targeted strength exercises. Unfortunately, this is an all too common approach taken by many trainers and therapists. Training more glute strength is treating the symptom, not the cause. A more effective treatment strategy is to restore a functional CLA. Restoring a functional CLA allows the body to move in a balanced and harmonious way. Once this is achieved, the glute strength and firing deficit will often naturally correct without targeted intervention. Another commonly neglected and overlooked mechanical deficit is the ability to maintain ground contact with the foot during exercise. This may seem unrelated to lower back pain. However, when considered in light of nervous system function, it makes perfect sense. The soles of the feet and the palms of the hands are richly enervated with mechanoreceptors. These mechanoreceptors are nerves that are highly sensitive to changes in pressure. Their purpose is to to provide information to the brain and nervous system about where weight is being distributed. Only then can the brain and the nervous system accurately determine what muscles to activate for movement and stability. An inability to maintain ground contact during movement and exercise results in compromised proprioception. A proprioceptive deficit leads to increased global muscle tension and bracing. As already discussed, this is a primary non-specific lower back pain cause. Correcting this proprioceptive deficit is a relatively simple matter. It involves employing a combination of targeted remedial massage and neuromuscular exercises to restore ankle and foot control. Below, JEMS founder Joanne Elphinston is coaching the ‘listening foot’ exercise to restore effective ground contact during movement. There is a myriad of causal factors that potentially may contribute to non-specific lower back pain. Discussed in this post are a small sample, selected for their variety of cause and treatment protocol. There is much research that still needs to be done to untangle this incredibly complex phenomenon. Regardless, an evidence-based and principled approach to treating non-specific lower back pain is the key to treatment success. An informed approach should take into consideration the latest research and the interrelationship of the many and varied causal factors. To find out more about how Resilience Massage and Training’s unique approach to managing muscular pain can be of benefit to you, get in touch by clicking here, or click the link below to make an appointment.